The Casey Anthony Fake-Out: Is She in California? Amid false reports claiming Casey Anthony was spotted running through the Orlando Airport on Tuesday hiding under a sweater, the search for the 25-year-old liar continues, with NBC's "Today" speculating she might be in California. The morning show believes she could be in Carlsbad, near San Diego. The private jet that whisked Anthony away following her release from an Orlando jail is said to have landed at John Wayne Airport in Orange County, Calif. after making stops in Florida, Arizona, and northern Calif. The jet is registered to the California law firm that employs attorney Todd Macaluso, a former member of Casey's defense team who reportedly gave Anthony $70,000. Malacuso, who left Anthony's defense in early 2010 due to trouble with the California Bar, told the Daily News, "I can't comment on where she is for security reasons, but she's in very good hands. We managed to get her out and managed to confuse the entire media network of the United States." NBC also reported that the IRS has placed a tax lien against Casey, in the event that she cashes in on interviews and book deals. 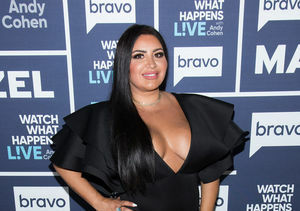 Anthony could have pocketed $3 million in her latest offer to appear on TV, but because it also involved taking a lie detector test -- Casey turned it down, according to the National Enquirer. Other reports point to a possible pay-per-view interview with Anthony.